food4fans is becoming increasingly popular among fans, retailers, and sports clubs. But our equity crowdfunding campaign and our recent publications in the press have also helped us reach a growing audience. For instance, there will be an article about us in "Welt am Sonntag" (in the sports section) 10 days from now. Most importantly, however, we have recently been contacted by one of the people on which our business on based: a famous Bundesliga soccer player! We are very proud of this fact and are really looking forward to our first meeting because players, especially former players, seem like ideal partners – no matter whether they serve as investors, advisors, or partners. Indeed, a potential partnership would make sense for several reasons. First, players can help us get a foot in the door more easily, and second, they know both decision-makers and fans' needs very well because of their career. Carl-Edgar Jarchow, former president of German Bundesliga soccer club Hamburger Sportverein (HSV), former CEO of HSV AG, and foreign trade expert. If we succeeded in attracting one or more former Bundesliga players, this would immediately have a positive effect on our marketing activities. Of course, we will keep you posted on this. Finally, I would also like to say a few words about our figures. On 31 July, food4fans delivered a total of 329 displays to EDEKA supermarkets, all of which contained potato chips. These 329 displays correspond to almost 35,000 bags of chips! Yet another traditional German soccer club, MSV Duisburg, has become our customer. When we informed our lollipop producer about this, the company's representative was glad that this is finally the case now. As you can see, fans are virtually everywhere. 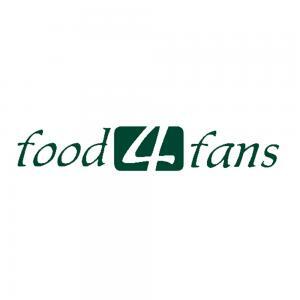 Please register in order to see the complete profile of food4fans.